Gutter installation is a key part of any home improvement project. 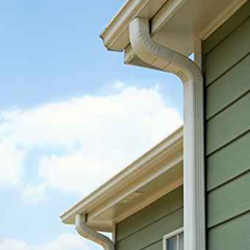 Guttering is responsible for keeping rainwater away from parts of your home susceptible to water damage. Gutters need to be carefully chosen and properly installed to perform well. When clogged, they will hold rainwater which has a tendency to overflow. If overflowing gutter water reaches the sides of your home it seep into siding or even through your home’s foundation. 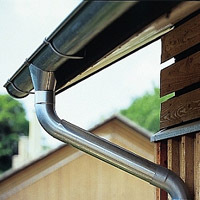 Aluminum – Our most popular gutter. We carry 5 inch 32 gauge seamless aluminum gutters and oversized downspouts; formed at the job site. These are available in a variety of colors and built to suit. Steel – Steel gutters are very strong and durable. They are able to withstand harsh weather conditions and can last a lifetime although are susceptible to rust and corrosion damage over time. 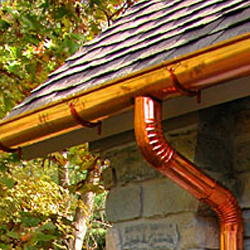 Copper – this gutters are the most durable rain gutters available. They look spectacular once installed and can add a great finish to the exterior of your home. Though due to the nature of copper overtime it will discolor without being properly sealed.